One of the questions I get asked with every foster dog that is adopted from us is, “Can I change his/her name?” When we have a foster dog for even a couple of weeks, they start to pick up on their name, but that doesn’t mean it has to stay his name forever. Teaching a dog his name is the same as teaching him a new command. In fact, calling his name should be a command for him to look at you. 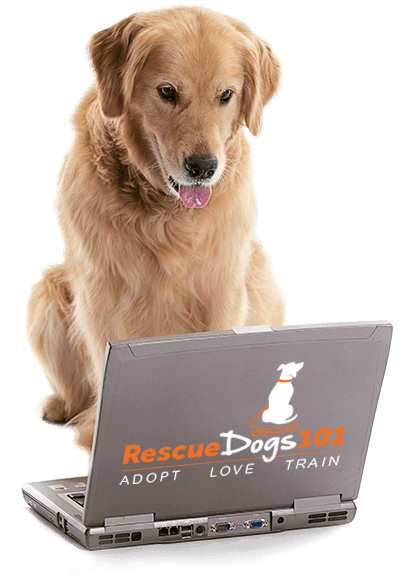 Keep reading below to learn the best way to teach a rescue dog his new name. Dogs are pretty adaptable, they don’t really care what you call him, just as long as you are consistent once you do choose his name. Some of the names of our fosters have been pretty unique, aka silly, I would never keep for my personal dog. Fun fact: we have changed every single name of our own adopted dogs (except Symba since he didn’t have a name before we got him). Nala was Midnight, Abby was Angel, JJ was Jeremy, Ginger was Penelope, and Bear was the most unique… Vince Lombardi (a famous football player). Updated December 2018 by adding more than 100 more names! A good dog name will reflect the personality of your dog. You may want to take a few days to get to know your newly adopted dog, try out a few names you like and see which fits her best. I recommend staying away from people-like names, just imagine if you name your dog Sarah and then 2 years later you end up with a girlfriend named Sarah! I have not divided the list below into best female or girl dog names and best male or boy dog names since many of these names are interchangeable. If you prefer to see the list of just girl, boy, or gender neutral names download this list in PDF form. We’ve made it easy for you to find a name for your new best friend. By printing out this list you can easily highlight the names you love the most. Then pass it around the family to vote for everyone’s favorite name! Once you’ve decided on your dog’s new name, make sure to order him his very own name tag! Teaching your dog his or her new name is easy. Teaching your dog his new name is just like training him a command. Your dogs name is basically a command to look at you for the next command. For example, Spot Sit. Spot is the command to look and pay attention to you, Sit is the command to sit down. Get it? Start by using treats to call your dog over to you, using his old name and new name combined. For example, when we adopted Nala, her old name was Midnight. We called her Nala-Midnight for a couple of days, transitioning to Nala as she started picking it up. And if your dog didn’t have a previous name, just use the name you gave her and use treats to call her to you. What are the First Things I Need to Teach My New Puppy? Do you have a name you want me to add to the list? I’m always looking for new creative dog names, so feel free to comment below with your favorite dog name. We’ve made it easy for you to find a name for your new pup. By downloading and printing out this list you can easily highlight the names you love the most. Then pass it around the family to vote for everyone’s favorite name!